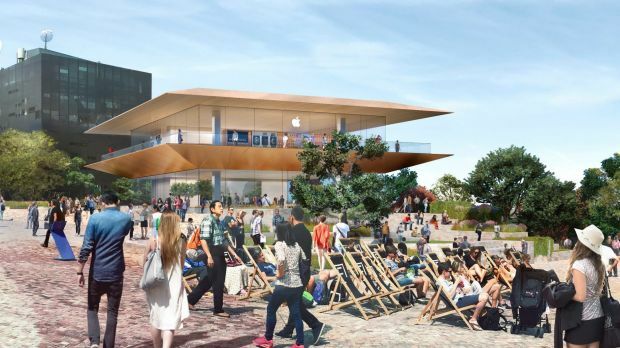 Yesterday, without warning or a skerrick of public consultation, Premier Daniel Andrews and Minister for Tourism John Eren announced that the Yarra Building in Federation Square will be demolished to make way for an Apple megastore. The backlash from Melburnians has been swift and scathing. Let that sink in. While Minister Eren has confirmed to The Age that negotiations with Apple over this development have been going on for two years, the Labor State Government has decided that it is either in the interests of Victoria or it was simply not warranted that at any time the public should have an opportunity to know about it, let alone have a say. This is Melbourne’s premier civic space. It is a cohesive enclosed public square not dominated by commercial interests. It is the home to many important cultural institutions. It is an architecturally intact place. And the Labor party deigned to approve a massive change of use, architecture and purpose of Federation Square and announce it to Melburnians as a fait accompli. It doesn’t even fit with the purpose and charter of Federation Square; its civic and cultural charter has obviously been ignored.